With Project Veritas publishing three undercover videos in just three days, all showing Democratic Socialists and "Deep State" government workers admitting to possible felonies, and a coordinated campaign from within to hinder President Trump's economic agenda, along with Sarah Carter's breaking report that the FBI, under Comey, kept two separate set of books, one with the real spy documents and the other for just appearances, we are seeing multiple layers of the enemies within being exposed. Top that off with President Trump finally ordering the declassification of some key documents in the FBI's Russia investigation as well as FBI reports on agent interviews, known as "302s," and we are looking at a massive information dump that should carry over into what might just be the most spectacular October Surprise seen in recent history. The recent Project Veritas "Unmasking the Deep State" videos, the result of a year-long undercover investigation to which multiple hidden camera videos captured members within the administration admitting to being part of the "resistance," and using government time to illegally on the Democratic Socialists of America (DSA) political agendas, while actively working to hinder the President's agenda, has resulted in the DOJ announcing their will be an investigation and turning the information over to the DOJ's Inspector General. On September 19, Veritas release the second installment which features "Department of Justice paralegal Allison Hrabar reportedly using government owned software and computers to push a socialist agenda. Also featured is Jessica Schubel, the former Chief of Staff for the Centers for Medicare and Medicaid Services during the last Obama administration. Both Schubel and Hrabar make admissions revealing that federal employees are using their positions in the government to resist or slow the Trump administration's policies, some breaking laws in the process." On September 20, the third installment was released, showing "a Government Accountability Office (GAO) employee and self-proclaimed Communist actively engaged in potentially illegal political activity. Natarajan Subramanian is a government auditor for the GAO and a member of the Metro DC Democratic Socialists of America (Metro DC DSA)." 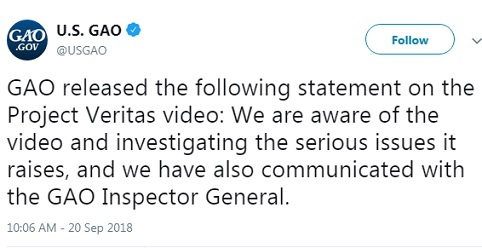 Furthermore, since the latest project Veritas video included a Government Accountability Office employee, they too have announced, via their Twitter account, as reported by The Hill, that they are "investigating the serious issue" the statements caught on camera raises and that the matter has also been communicated with the GAO Inspector General. James O'Keefe and Project Veritas most definitely hit the jackpot with their "Unmasking the Deep State" investigation. The next bombshell was dropped by Investigative journalists Sara Carter, who along with legal analyst Greg Jarrett, joined Sean Hannity to discuss the Democratic demands that the DOJ and DNI not comply with President's Trump order to declassify Russia related documents regarding the surveillance warrant on Carter Page and the 302s, FBI agents notes they write immediately after interviewing witnesses and/or subjects of an investigation. Carter has been ahead of the curve on a number of bombshells over the past two years, including being one of the first to report the Obama administration was abusing their power by "unmasking" American citizens, which later was proven to be completely accurate, so her "sources" tend to be more reliable that what we have seen from the MSM of late. The word usually used from those reporting this is "finally," but we have to note the timing to understand how this is going to be the October Surprise to beat all. One prominent example of that was when the FBI tried to hide the $70,000 cost of a conference table for Andrew McCabe. That was not classified, top secret, nor did the information reveal sources or methods, the FBI simply didn't want to admit it, so they redacted the information from the congressional releases, but it was revealed at a later date. Despite Democrats objections this declassified information is expected to drop in a number of different document dumps. The officials told Fox News that the declassification process for those documents has already begun. They said that the FBI and the Office of the Director of National Intelligence were working together on the project, with the possible involvement of other agencies. Eventually, the officials said, the declassified product would be passed to the White House. While the President ordered the documents to be released without redactions, the intelligence agencies will no doubt still attempt to redact some of the information, then send it over to the White House. 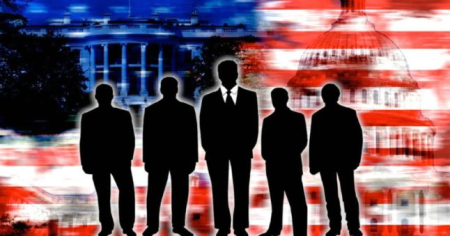 The President Trump will have the WH experts determine if that redacted information needs to be redacted or not, then the President will determine what is released. That will most likely be the first dump and is information Democrat politicians and former Obama intelligence really don't want the general public to see. This goes straight to the argument Republicans have been making that the FBI/DOJ improperly obtained their FISA warrant and subsequent renewals to surveil Carter Page. The other dumps are more tricky, as some of the text messages have already been released with heavy redactions, and those will likely be sent to the President with far less redactions than previously released. Others will head to his desk with more redactions, and the President will have to decide if they are justified or simply the agencies trying to hide information. That process will take time because he will not want to jeopardize national security, so his people will be going through them with a fine tooth comb. These document releases will undoubtedly be one of the biggest October Surprises in recent history, perhaps not so much to those that have been following along with Independent Media, but certainly to those that have been listening to the MSM who has been downplaying the corruption within to protect the Obama DOJ/FBI. There is not a doubt in my mind that President Trump had been previously informed of exactly how long the process would take and timed his order for declassification to make sure that there would be a steady drop of documents through October which will prove beyond a doubt that the intelligence community was critically compromised and politicied during the Obama presidency.... right before the midterm elections. It appears President Trump is ready to take the war against the Deep State to the next level. 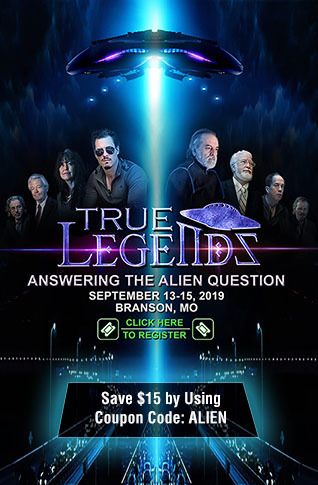 Get your popcorn ready folks, this should be an interesting October.